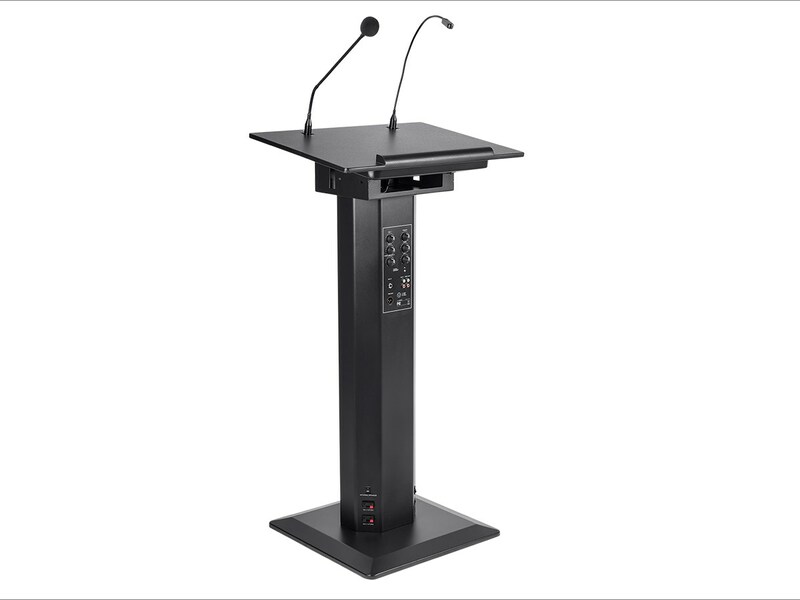 This 47″ lectern features a built-in 60-watt amplifier and speakers, so it can serve as a stand-alone audio system for presentations. 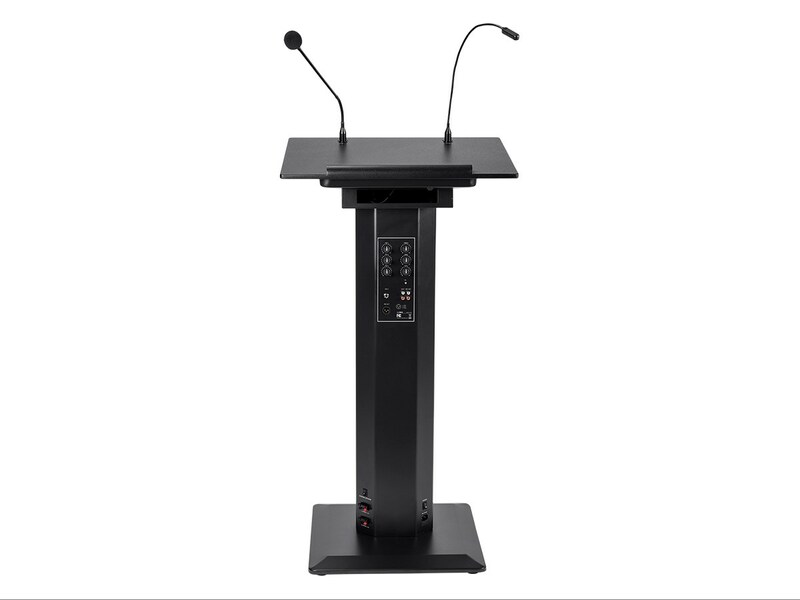 It includes a gooseneck microphone and LED lamp, which attach to the top. 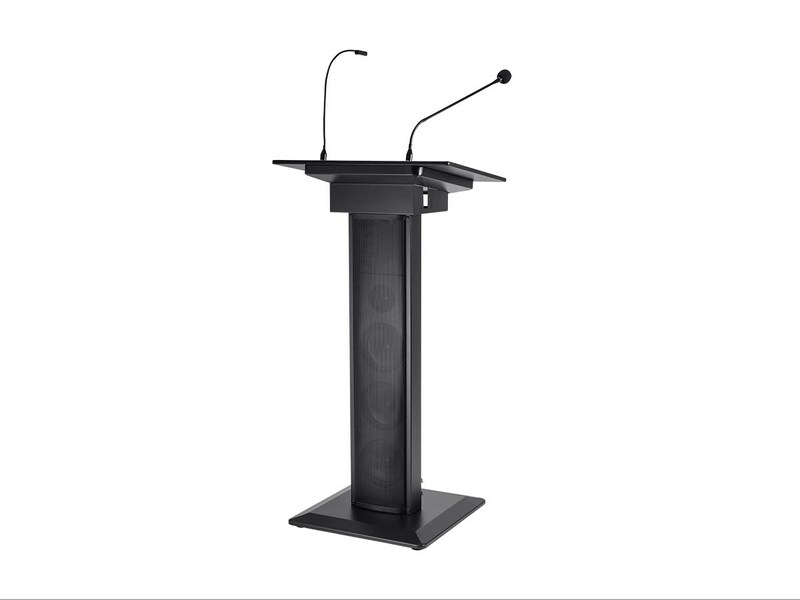 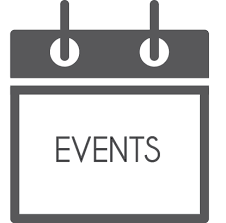 A balanced pre-amp output allows you to connect it to an external audio system to replace or augment the lectern’s built-in sound system. 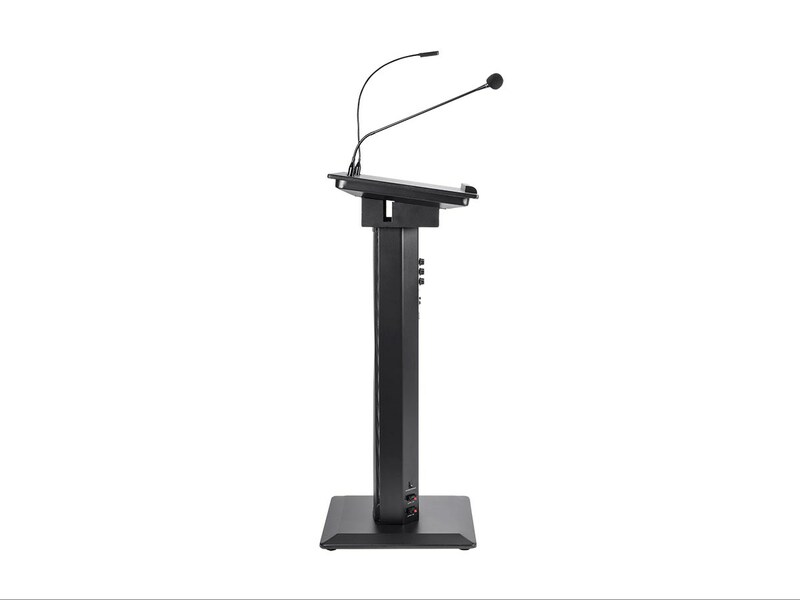 An additional 3-pin Male 91 MC3M connector with phantom power inside the apron allows you to connect an additional condenser microphone, while a 1/4″ jack on the lectern column allows you to connect an additional dynamic microphone. 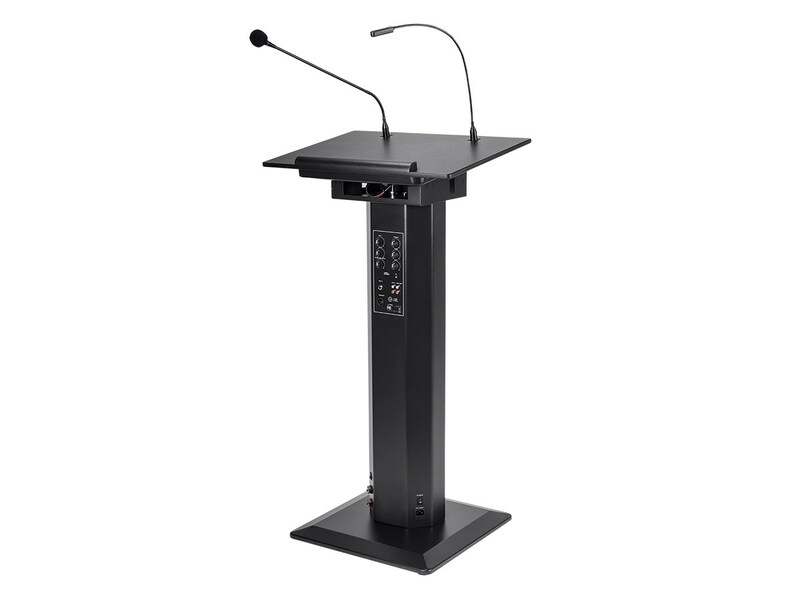 Line level RCA inputs allow you to add an external audio source to provide music or other audio material, while line-level RCA outputs allow you to record your presentation.